This program is presented with generous support from TIAA. Understanding school finances can inspire resourceful action on the part of all leaders charged with managing their schools. This online course is designed for those administrators who desire to be good stewards of their school's financial resources, to be strategic in light of financial pressure and to work more collaboratively with their leadership team around financial issues. Budgets reflect how the school's resources are allocated to deliver on its mission. How do school leaders help fulfill a school's mission by pulling the appropriate strategic financial levers? Learn how a financial plan should be the byproduct of the strategic thinking of the school, and not the reverse. Class size is limited to 40 participants. 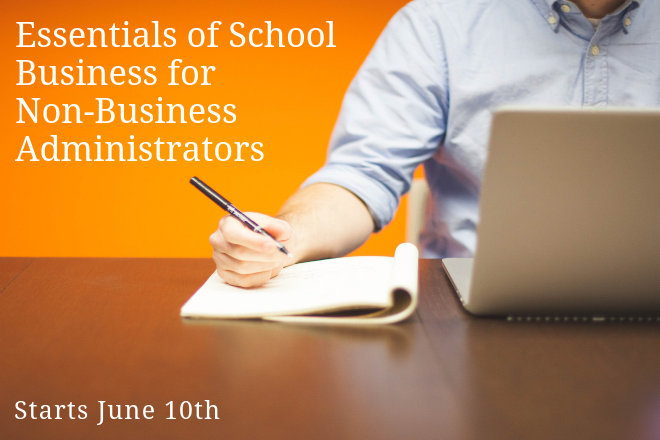 This course is being offered in partnership between NBOA and One Schoolhouse. "I was surprised how easy it was to participate online. The class helped me appreciate the many financial factors that are at play in a school and how they impact our work in admissions. It also made me think about the value proposition we offer and how imperative it is that we work hard to understand what is unique about us. In addition, almost as important of being able to offer something people can't get elsewhere, is the way we talk about these benefits consistently across many internal teams- the business office, the development team, the communications office and the admission team."